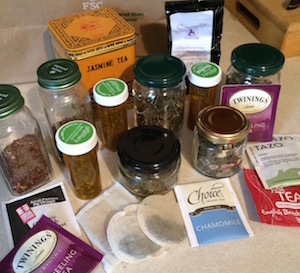 My attempts at developing a tea habit are in slow-motion – partly because I simply forget I’m trying to form such a habit. However, in the past few weeks, I have discovered I rather enjoy peppermint tea. 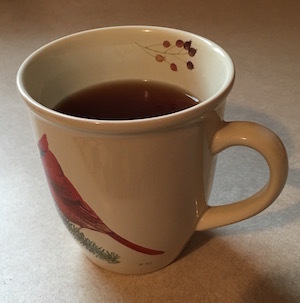 Here’s a pic documenting said tea, and this lovely cardinal mug, which I just received last month as a Christmas gift, and which my daughter managed to break yesterday. My apologies, tea mug. Your life was short, but much appreciated. 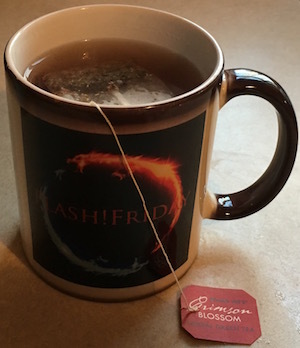 My favorite of the teas I’ve tried so far turned out to be this Crimson Blossom tea from Trader Joe’s. I don’t even know what its flavorings were, but I enjoyed it! Now I’m itching to get to Trader Joe’s (the closest one is an hour away from me) to see what other teas they offer. Next in the quest: Earl Grey! My experimenting with teas continues, albeit at a slow pace. I keep forgetting! Ha ha ha. 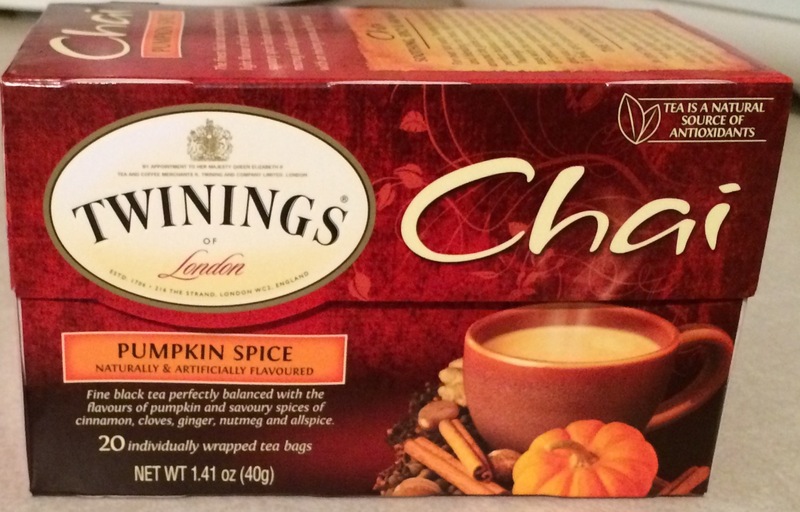 Anyway, in the past week or so, I tried two new teas: a pumpkin chai latte, and a caramel apple roibos. The pumpkin chai latte was okay, but very weak – I think a) I didn’t steep it correctly, and b) I didn’t add milk, as the package suggested I should. All in all, I only drank about a third of the cup. I’m hoping next time it will be better, in part because I dug out our actual teapot, figuring if I were going to do tea right, nuking water in the microwave and then adding the tea wasn’t the way to do it (as many internet guides told me). 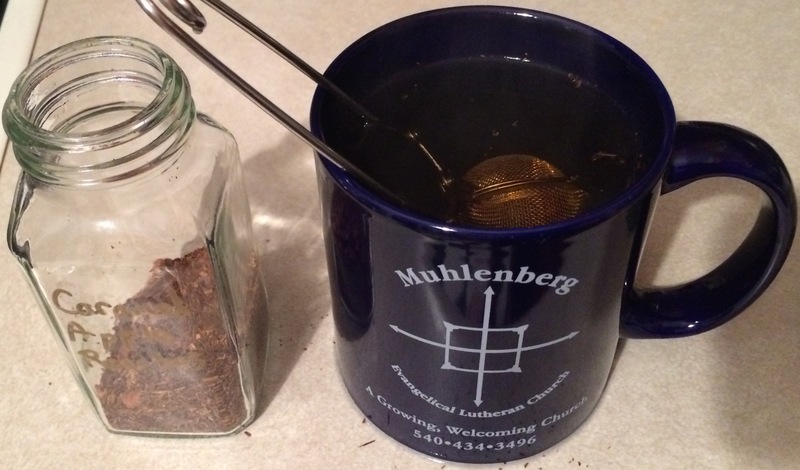 The next tea up was a roibos caramel apple, sent to me by my friend Heather. I had high hopes for this one, because, hey, I love caramel. 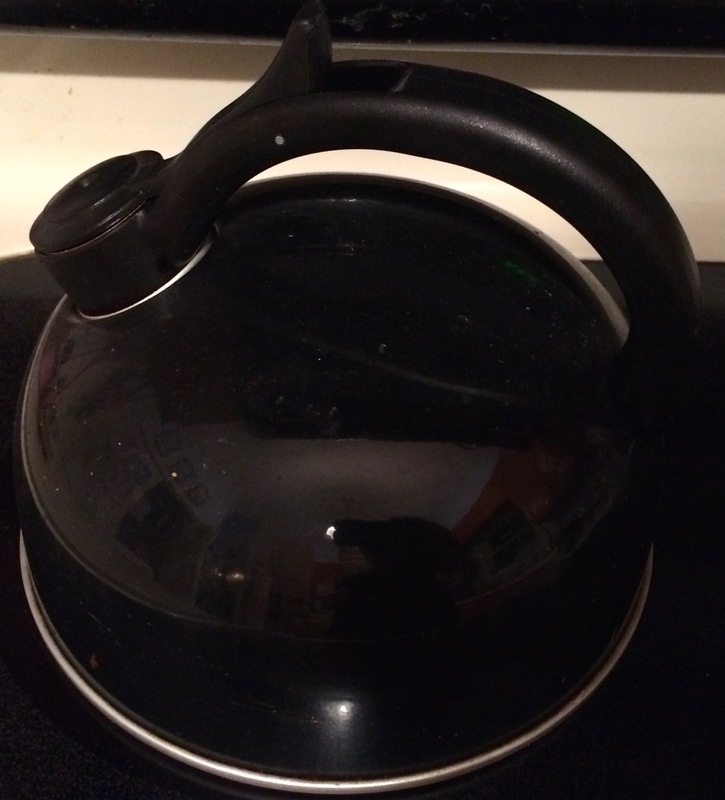 I boiled the water in the teapot and steeped the tea in my husband’s tea gadget for about five minutes. Perhaps that wasn’t long enough, as the tea was still fairly weak. Sadly, while I got a hint of the caramel, this wasn’t my favorite-tasting tea. We’ll see if I try it again down the line. I don’t drink coffee. I don’t drink wine. I don’t even drink soda. And until now, yes, you guessed it: I don’t drink tea. But how can I be a self-proclaimed new Anglophile if I don’t embrace that most quintessential of British things, tea? So I decided several times a week I would try a new type of tea, until I either a) found one I liked, or b) got used to drinking it and just kept doing so out of habit (hey, it worked for my years on caffeine-free Diet Coke). Luckily for me, my cousin Joy and childhood friend Heather were wholly supportive of this endeavor, and sent me tea samples. Like, LOTS of tea samples. I might be set for tea for the next six months. We shall see. 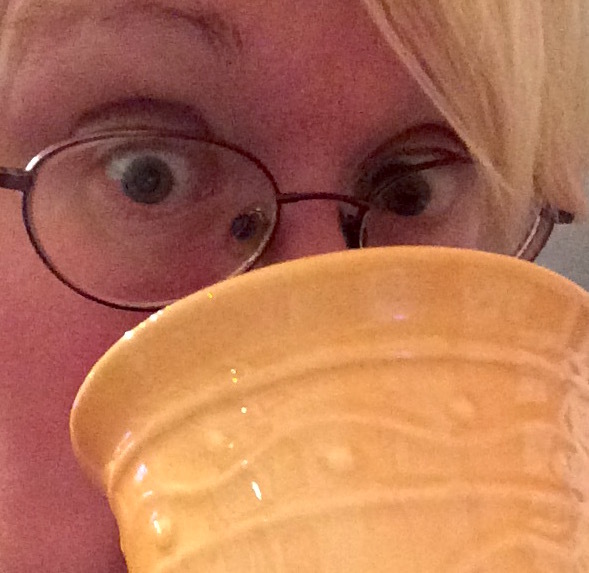 Each week, I shall report in on my adventures with tea. Week One’s choice? 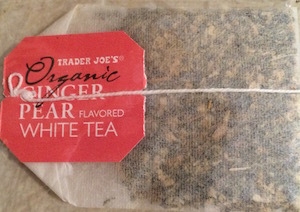 Trader Joe’s Ginger Pear White Tea. I like ginger. I like pear. And someone told me white tea was among the mildest of teas. That’s a lot of tea! Thanks, Heather and Joy. the warmth of the tea, as well as its taste, means I’m sipping it slowly. I have to savor it, in other words, whether I want to or not. So I’d say Tea Day, Week 1 is a success. Sure, I’ve only tried one type, but I’m still drinking it! How about you? Are you a tea fanatic? 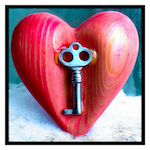 What are your favorite – and least favorite – types? Any tricks of the trade?